I have two US Army Signal Corps ML-3A microbarographs. I found the first 1943 Friez ML-3A in what looked like NOS condition at a very reasonable price. 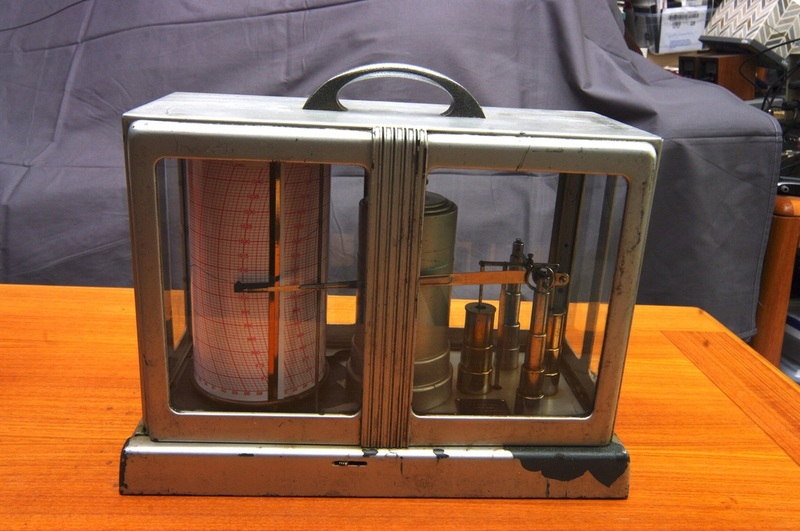 It had an unused 1945 US Army chart on it, much sun faded, and the dash pots looked like they never had oil in them. I chose to replace the Friez spring-driven 4 day clock drive with a quartz drive from an Oakton hygrothermograph. The quartz drive is switch selectable 31 day, 7 day, or 1 day rotation speed. I run it at 31 days using a Belfort 15621 chart in inHg. The chart isn't a perfect fit, the clock rotates 782 hours instead of 744 per 31 day month, but it's possible to adjust when reading the chart. I prefer using millibars but haven't found a 31 day mb chart for it. I still have the Friez clock drive if I ever want to restore the instrument to original condition. 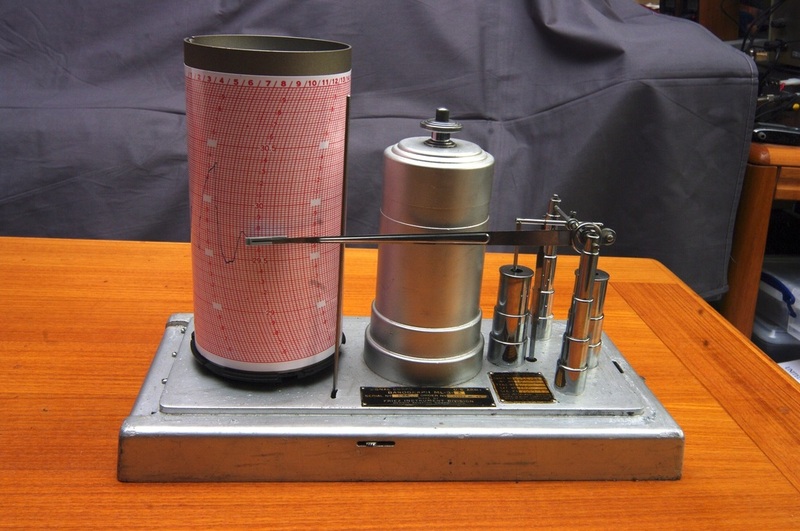 My second 1943 Friez ML-3A was my first barograph. I bought it about 30 years ago at a surplus electronics store for $25. It was on the junk heap with a sticker that said "chart recorder". It needed a lot of cleaning and has a serious case of paint peel but it works well. I use Belfort 8600 4.5 day charts in mb. It will also take Belfort 1090 charts for 4.5 days in inHg. Go to Friez catalog page. Go to Home Page.